New Delhi: At a time when Team Anna is piling up pressure on the government over the Lokpal Bill, Tata Group chairman Ratan Tata on Friday said the youth of India need to fight to root out corruption. Tata, who generally maintains a silence over the issue at public platforms, tweeted: “The youth of today will need to recognise that they shoulder a great responsibility...They will need to fight for rooting out corruption, for ensuring that no one is above the law, and uniting the citizens of India as ‘Indians first´ instead of communal or geographic factions". Wishing the young citizens of the country “the very best for the New Year", Tata wrote on the social networking site Twitter, that the next decade can be the decade of the youth of India - their voice, their vigour and their energy could have a profound impact on the shape of India of tomorrow. “One hopes the country will be driven by meritocracy, while being sensitive to the needs of the less privileged, and truly become a nation of equal opportunity for all," he said. Tata would be hanging his boots in December 2012 when he turns 75 - the retirement age fixed by the salt-to-software $80 billion Tata Group. Tata Sons, the holding company of the Group has already announced Cyrus P Mistry, the 43-year-old managing director of Shapoorji Pallonji Group, to succeed Ratan Tata. 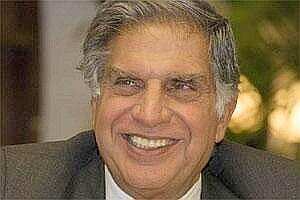 Ratan Tata is in the process of readying Mistry for the big role. Yesterday, he formally introduced Mistry to commerce and industry Minister Anand Sharma.